A family tree diagram (aka pedigree charts) depicting the ancestors and descendants of your family with their pictures, birthdays, and other interesting stories can serve a wondeful personalized gift for your grandparent's upcoming wedding anniversary. 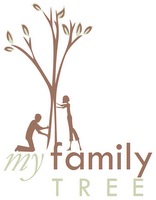 Creating a family tree or even a family history book from scratch is really very simple - all you need is the names, photographs of your family members, some important dates and those special stories[probably your grandma can be a big help here]. 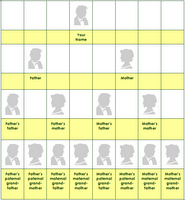 These family tree templates have everything from your mom-dad's courtship days to medical history to family traditions to past vacations. And if you are interested in just designing the family tree, just head straight to the tree section skipping the other details. No standalone family tree maker software is required - And if you don't have Microsoft Office, you can still use templates from Zoho Writer, Writely, Zoho Sheet or even Google Spreadsheet.